Many is the blog post which highlights the ways in which Twitter is the best staffroom in the world but I’ve not seen too many that highlight the ways in which we can use Twitter in the classroom. Many teachers love to use Twitter as a resource to share, explore, discuss and ‘magpie’ ideas from other teachers and as a vehicle to help develop their own ideas and their own practice too. It’s great for that… no, it’s absolutely brilliant for that! So how can we capitalise on the 140 character legendary social media king to help learning in the classroom? Here are some do’s and don’ts to help get you going. 1. Have a class account for professional distance. 2. Use an App such as Spout for your display. 3. Find a list of appropriate Twitter accounts for students to follow such as experts in a particular field of study. 4. Share responsibility of choosing things to tweet between class. Use this responsibility as a reward too. 5. Make a noticeboard of tweets of the week which students can vote on based upon their research. 6. As you go through the academic year, use a consistent hashtag (#) to tweet key revision points that they can use later. 7. Make up fake twitter accounts for key individuals they are studying for them to research or add tweets from themselves in character. Students can take turns in running the account (a virtual version of the Primary school ‘take a teddy home for the night’ project. 8. Find a class from another school and share # to interact with each other. 9. Ask students to research using Twitter and Twitter summaries. 10. Tweet starters to students as part of your bell work. 11. Use Twitter to time competitions. Set a task and the first individual or group to tweet the right answer or their online work, wins. 12. Use Twitter as your plenary. Much better than asking every student to verbally give their feedback on learning, ask them to tweet it on a # specific to your lesson. 13. Use Storify to record tweets from a particular lesson – also use it as a literacy tool and ask students to correct spelling and grammar from the tweets that are on the Storify page. 14. Chose 4 key tweets from the lesson. Get students to draw them and then pass on to the student to identify. 15. For schools that don’t allow Twitter, print out characters on to a sheet and pretend it’s Twitter. 16. Not exactly a ‘using Twitter’ kind of idea but using the premise of Twitter, ask students to answer complex questions only using 140 characters. It forces them to think about language and refine their answer so that it features key information in order for it to be correct. 17. Use a site such as Paper.li to create a class magazine based upon curated tweets from key experts that are followed by the class account. 18. 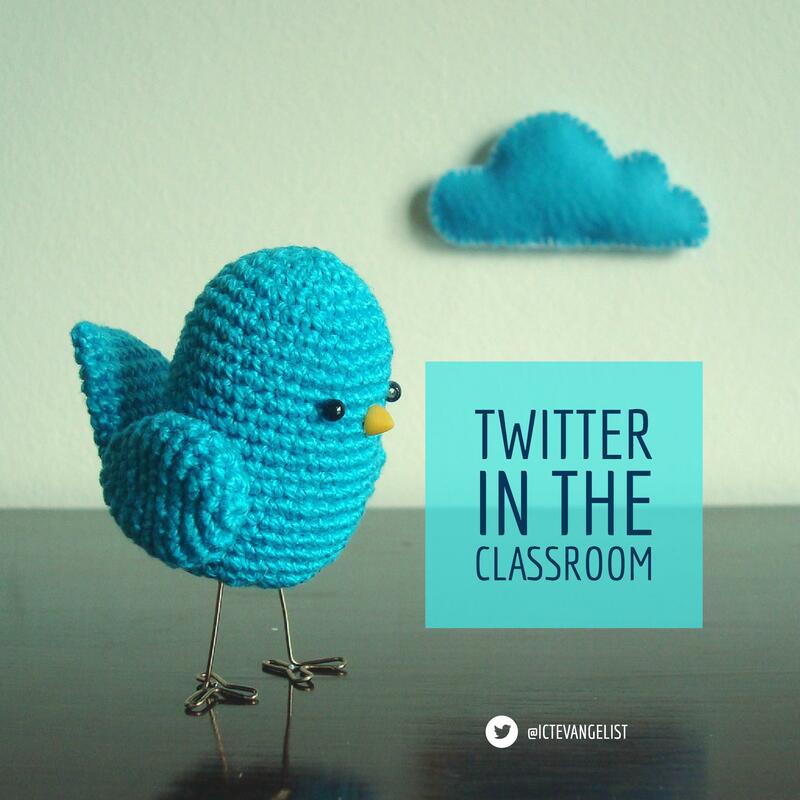 Promote learning outside of the class by tweeting regular out of lesson tweets. A service such as Buffer can help you to stack up tweets which auto-tweet at specific times that you set. 19. Use it as a tool to communicate with parents about learning in lessons too, share images of student work and celebrate success. 20. Use it as a tool for students to submit questions for the teacher. This could be done on a hashtag or direct to your class account for you to reply to. 1. Don’t think Twitter is a substitute teacher. 2. Don’t let students access your personal account. 3. Don’t tolerate any kind of online bullying. Deal with this swiftly if you see it. 4. Don’t use the Internet without learning about e-safety, mitigate against it and ensure that you have had some training on how to protect your professional identity. 5. Don’t expect the students to use Twitter if you can’t yourself. 6. Don’t leave out students with a fear of writing due to dyslexia or other issues. This is the perfect confidence boost. 7. Don’t think the technology is too clever. You can use it to great effect. 8. Don’t assume that this can fill a hole in lesson planning. It has to have a learning purpose and be tied to the learning in the lesson. 9. Don’t accept poor spelling just because it is a tweet. 10. Don’t underestimate the power of social media. Your learners are already trained, just harness their pre-existing skill for learning. I am sure that you can add your own ideas to these, please share them in the comments below. As always, I’d love to hear about your experiences. Photo Credit: Maria Handmade via Compfight cc. My year 5&6 class here at Llanharan have their own account, @lps140club which we have been using now for two years. I use it for various activities such as short focused tasks in our literacy lessons and data handling for numeracy. I started the account primarily as an action research project to engage boys in literacy. The class had a weekly challenge to create 140 character responses to a provocation revolving around the current author focus. This evolved into creating 140 character poems and 140 character summaries of the text being studied. The pupils had ‘Twitter books’ which were old maths text books, allowing the pupils to divide the squares into 140 boxes. We have used the account on numerous occasions for data handling in both numeracy and our topic based approach. This has involved finding out the nation’s favourite Shakespeare play, where the pupils drew a hit-list of their favourite authors, sports stars and other celebrities to tweet the question to. We managed to get some great responses from people from various forms of life, from parents, all the way to Pie Corbett and Charlie Higson. As it is a Year 5/6 class, I have not encouraged pupils to create their own accounts, leaving that issue to the discretion of the parents but those that have created accounts have then created opportunity for further discussion on e-learning as those who have not protected their tweets would not be followed by the class account until they had corrected that issue. As a staff, we have ensured that those who use twitter have two accounts, a personal and professional one, with the personal ones being protected. The staff ones have now been used as a forum between the school and parents, with staff tweeting regular updates, links and sharing the good practice of the pupils to the parents. It has become clear that these bite-size chunks of information are more likely to be read than a standard paper newsletter. We have recently started to use the account to tweet links to blog posts from our class blog so that larger pieces of learning activities can be celebrated. The class loves using our twitter account for no other reason than seeing people who they do not know read and comment on their work, giving them a real audience for their writing. This is great to hear! Thank you for taking the time to tell your story. It sounds like you’re all over it! Wise words there mark! One of the first articles of yours I have read through but looking forward to many more! 5 years ago, I would have never of thought of students could use Twitter in the classroom, it would have seemed outrageous as most schools had the site banned/blacklisted. I’m glad we are coming to our senses on this issue and look forward to seeing how social media evolves hand in hand with education.